Bring on the funk! A solid Jamaican rum for the price. Super fresh, funky and fruity. No additives and pure flavor. This is a solid 40%abv mixer. Outstanding fresh grassy agricole Trois Rivieres is one of favorite agricole producers. The rhums have a fresh grassy flavor at full 50% abv. Ideal for a 'ti-punch. As solid as any pure Bajan rum gets A perfect example of a solid aged Bajan rum without all the additives. Nice balance of complex fruit and wood flavors. Classic Agricole Much softer and more mellow than Canne Bleue, but still a distinctly smooth Martinique agricole, worthy of the best 'Ti punch. Nice and crisp The perfect base for a caipirinha. The fruity florals are the perfect base for lime and mint. The one and only tiki topper This rum has only one job, and it does it extremely well. It's the perfect blast of flavor and strength for the classic tiki cocktail. Jamaican Funk for cocktails The perfect Jamaican funky rum at navy strength ideal for tiki cocktails. Complex yet smooth A delicious sipper, wonderfully complex yet smooth and not overly sweet. A fantastic value for the price. An ideal ambré agricole for cocktails Another great product from the Trois Rivieres line. Perfect for a softer 'ti-punch or as an ingredient in many tiki cocktails. 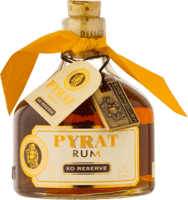 A versatile dark mixer This rum has a distinct molasses taste and packs a nice punch. The latest addition to the shelf for dark mixers. Solid sipper, but there are better ones A sold sipping rum, if you like them sweet - like Zaya - but Diplomatico is far better, and much more nuanced. The tropics are calling! You'll never touch Bacardi again. Quite simply a solid, balanced white rum which only adds and never takes away from a cocktail. A great mixer A bit too much alcohol on the front end to stand on its own as a sipper, but Pussers is ideal for cocktails. You can't go wrong. This is a well rounded solid rum with plenty of molasses flavor, but not overly sweet. Perfect over ice or with a mixer. A solid rum, but could be a little smoother. Beautiful color, complex taste, but a little rough on the palette. It lacks the refinement and smooth finish of other rums at this price point. Solid mixer at reasonable price A decent mixer for classic rum cocktails and tiki drinks. Comparable to Caña Brava with a great pedigree. A perfectly acceptable mixer Let's face it, light rums are not really designed for sipping. Caliche is a perfectly acceptable rum for making classic cocktails and exotic potions. An ok mixer, but pricey This is a tough one to review. It's neither a sipping rum, nor an affordable mixer. It's mostly overpriced for what it is. OK for a 5-year, but not a sipper. I was expecting a more of a sipping rum, but it's a little rough around the edges, and bet used as a mixer. Fine, if you like spiced rum mixed drinks If mixing spiced rum with coke or ginger beer is your thing, you can't really go wrong with Sailor Jerry. A utility dark rum for mixing Do not mistake this dark rum for a sipper. Its single molasses note holds no complexity, let alone the slightest nuance. Syrupy, with a lot of added sugar Caramel, strong vanilla, cinnamon, bananas and brown sugar. It has been enhanced with insane amounts of added sugar. Rum meets TripleSec with a whole lot of sugar. The dominance of orange is unmistakable. This is not rum. At best, itʻs a rum liqueur, which is fine if that's what you're looking for. A stretch to call it rum Anyone who mistakes Malibu for a proper rum knows little about rum. It's basically an artificially flavored sugar syrup with a little rum added.